Several new releases will appear from the United States Mint next week. Included in the new issues are the 2014-P Great Smoky Mountains National Park Five Ounce Silver Uncirculated Coin, the 2014 American Eagle One Ounce Silver Uncirculated Coin and a few other debuting products. 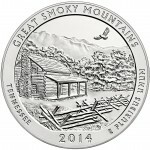 On Monday, April 7, 2014, the 2014-P Great Smoky Mountains National Park Five Ounce Silver Uncirculated Coin will be released for sale to the public. 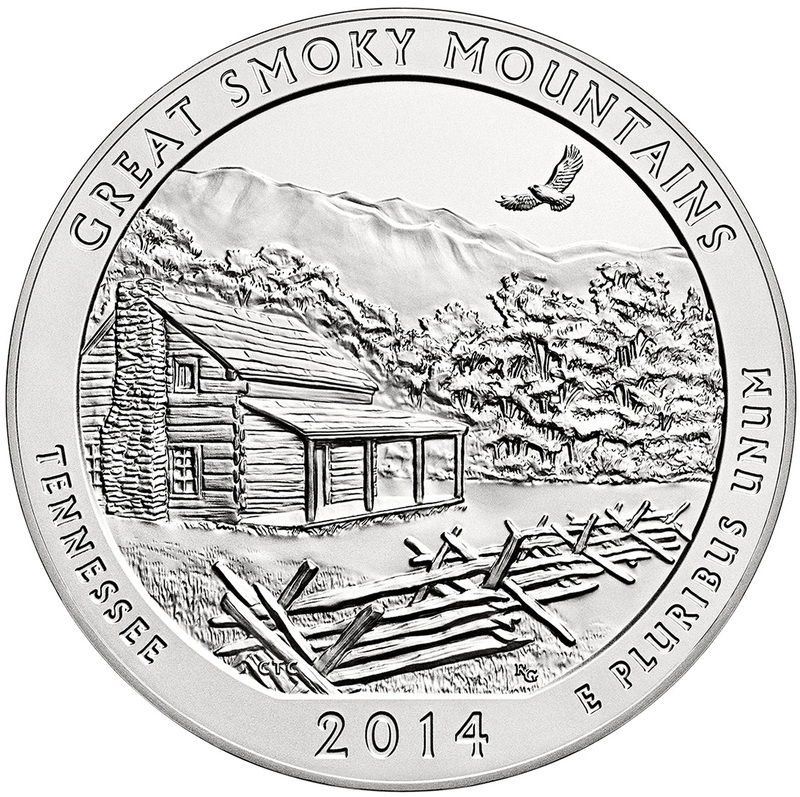 This coin is composed of five ounces of 99.9% pure silver and features a reverse design emblematic of the Great Smoky Mountains National Park of Tennessee. 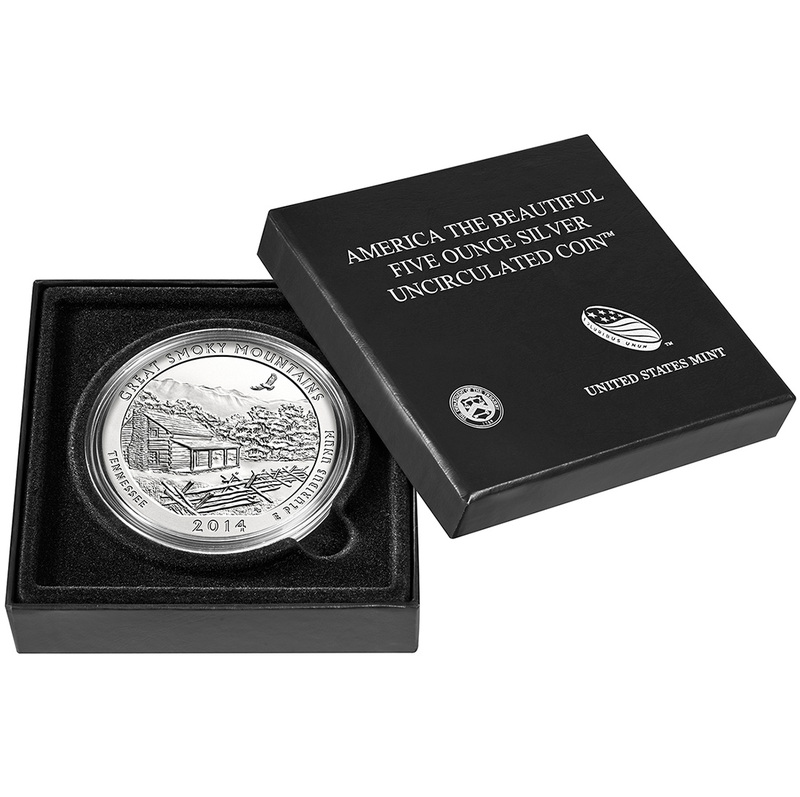 The coin appears as the first 2014-dated release of the U.S. Mint's America the Beautiful Five Ounce Silver Uncirculated Coin Program. Four additional program strikes will be released yet this year. 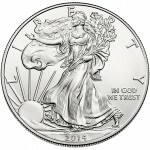 Pricing of the five ounce coin is listed as $154.95. Mintage limit is 25,000 with no household or order limits. On Tuesday, April 8th, the Shenandoah National Park Three-Coin Set will be released for $9.95. The set includes three different versions of the 2014 Shenandoah National Park Quarter. The includes versions are an uncirculated quarter from the U.S. Mint's facility in Philadelphia, an uncirculated quarter from the Denver facility and a proof quality quarter from the San Francisco facility. On Thursday, April 10th, rolls, bags and boxes of 2014 Calvin Coolidge Presidential $1 Coins will become available. Buyers have the choice of circulation quality coins from the Philadelphia or Denver facilities. 25-coin rolls will be offered for $32.95; 100-coin bags for $111.95 and 250-coin boxes for $275.95. 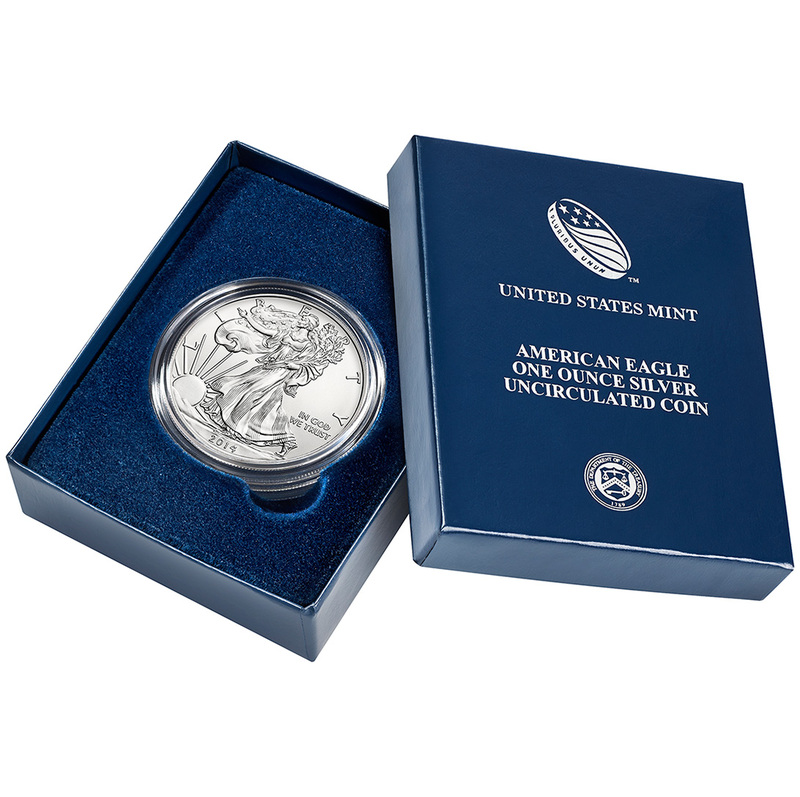 Also on Thursday, April 10th, the United States Mint will release the 2014 American Eagle One Ounce Silver Uncirculated Coin. This annual issue first appeared in 2006 and is one of the most popular numismatic products released by the Mint. The coin is listed to debut at $43.95. 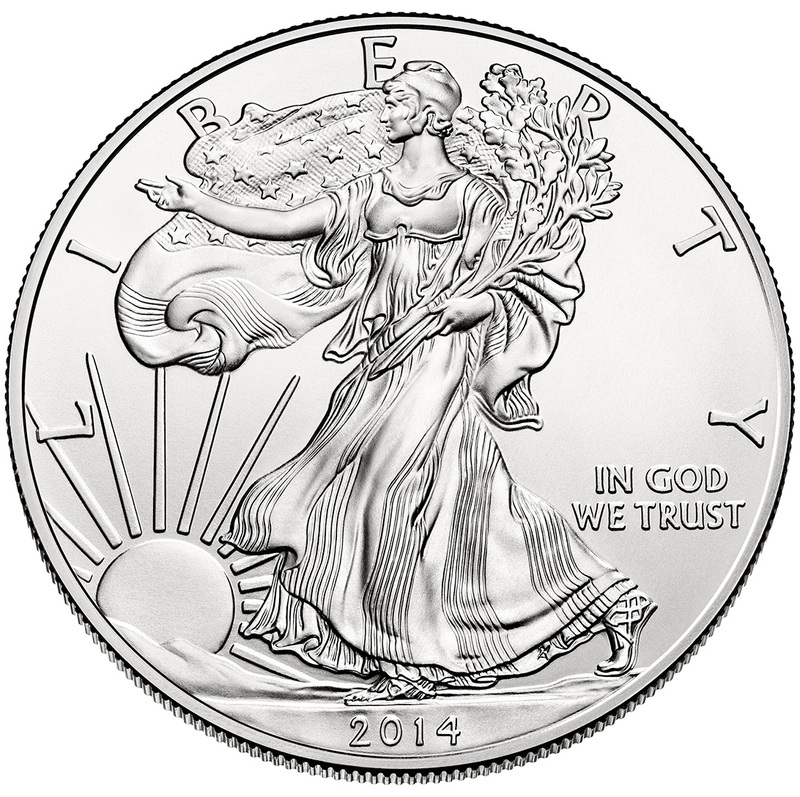 The coin features the same basic obverse and reverse imagery as other Silver Eagles including Adolph A. Weinman's "Walking Liberty." All of these products, when released, may be purchased directly from the United States Mint. The website is www.usmint.gov or products may be ordered by calling 1-800-USA-MINT.